We are glad to announce that FLAME has recently started working on importing external databases into its own structure. We FLAME members see this as the best way to move research forward through collaboration. 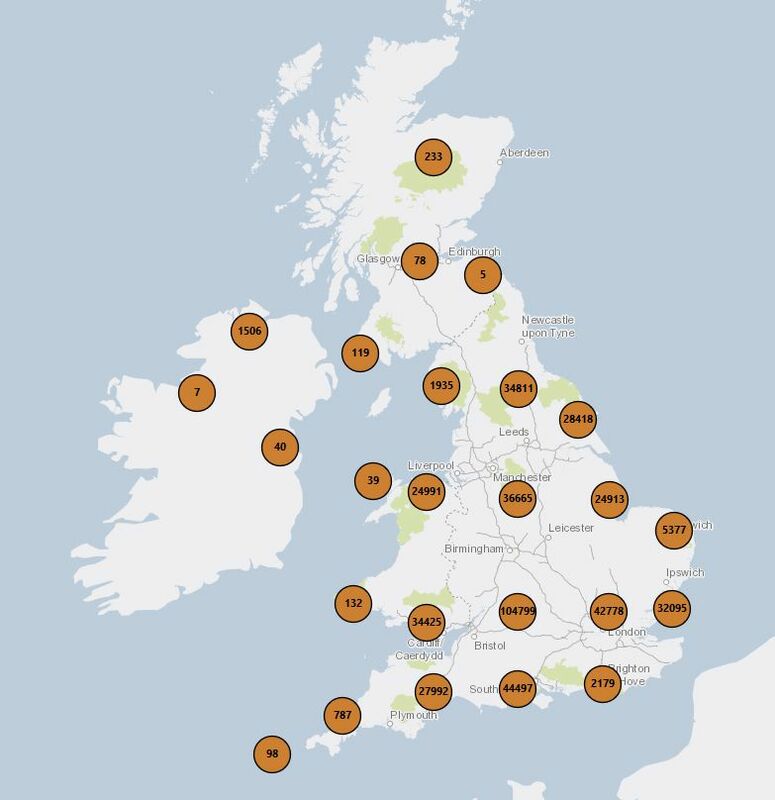 The first database we have imported is the British Portable Antiquities Scheme, which includes about half a million coins relevant for FLAME’s focus on Late Antiquity. The coins are currently housed in a separate database for both technical reasons and scholarly reasons – once we move such a large number of coins into the regular database, it would skew all the results of our tools, creating the false impression that Britain was an economic center, whereas in reality things were closer to the opposite. You can see a screen shot below, showing coins minted between 325 and 400 that were found in Britain. The numbers within circles represent the number of coins found in each area in the form of a cluster. Zooming in, these clusters break up into smaller clusters. We are keen to have additional collaborations with other projects in the future, which would be credited in the live version of our application.